We understand that ordering many items without a “try on” is very difficult. Our sizing information is as detailed as circumstances allow. Our TEN-O products are made to specific sizing requirements though different materials and different designs will work differently on your unique body. Our other brand name product sizing is according to the information provided by the manufacturer. 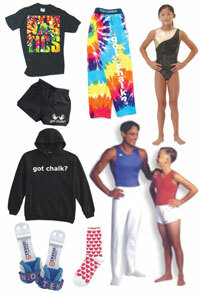 The products included in this sizing guide include apparel and grips. Junior sizes are Child sizes. For further assistance with sizing issues, please contact our customer service agents via an email from our website's Contact Us page or by phone at 800-241-9249. If in doubt of apparel sizing, order the next size up. TEN-O leotards tend to be sized on the small side.